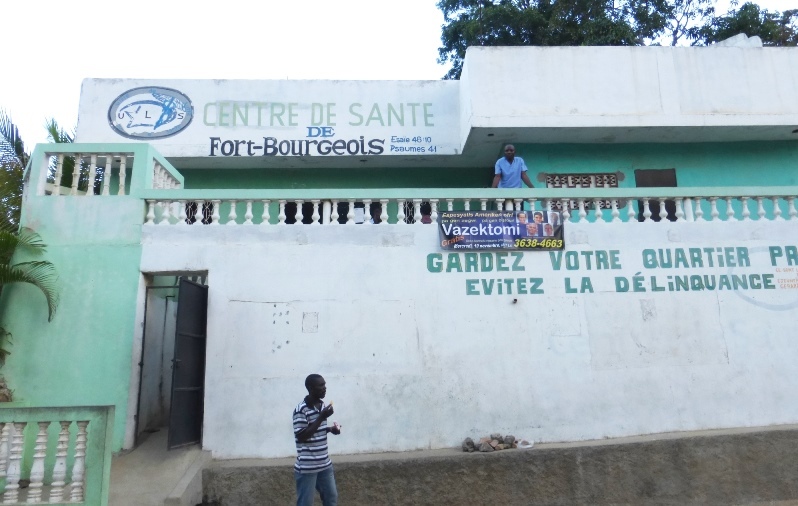 2014 November | No-Scalpel Vasectomy International, Inc.
Dr. Maudelin Mesadieu had spread the word about NSVI’s offer for free vasectomies at his clinic (Unité de Lutte pour la Santé “Unit of Fighting for Health”) in Ft. Bourgeois. 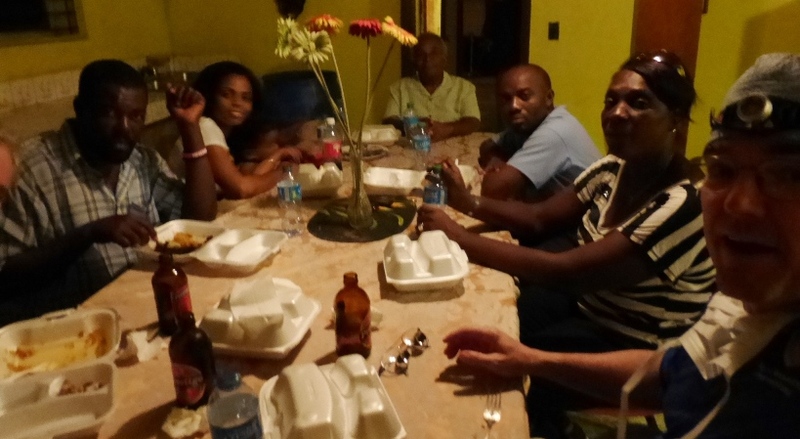 Equipped with banners and posters, Pastor Amos Myrtil had traveled from his home in Florida to his home in Plaisance 2 days beforehand to spread the word about NSVI coming to Plaisance. 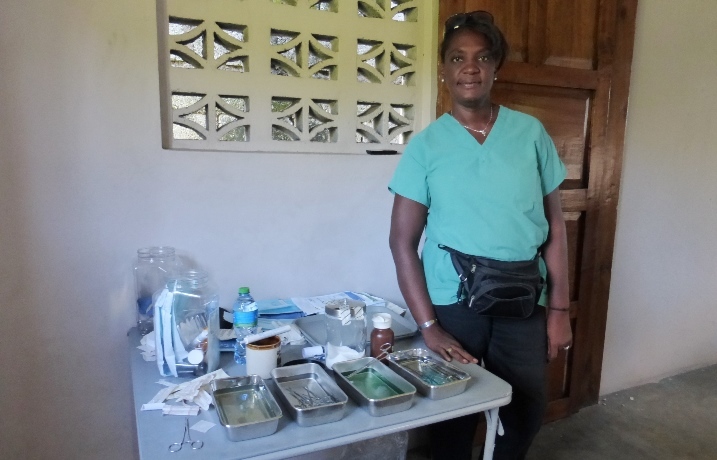 As she did in 2012, Nurse Elizabeth Kaplan joined NSVI through the Cap Haitien Health Network (CHHN), directed by Dr. Ted Kaplan, the initiator or NSVI’s involvement in Haiti. 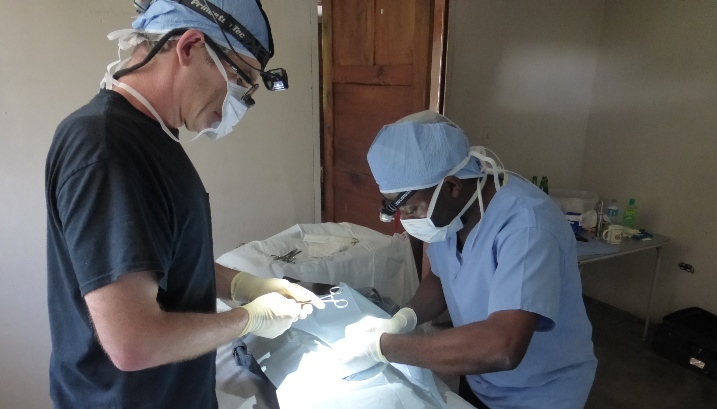 Having met Doug during the 2012 NSVI Mission, Maudelin had recently visited Doug in Tampa for limited training in NSV and in how to set up a vasectomy clinic. 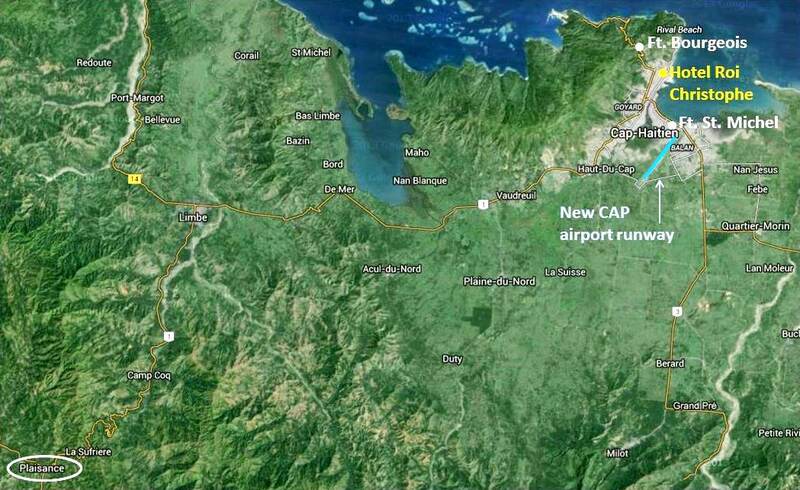 The flight leaves MIA daily at 10:00 AM and arrives in CAP at 11:59 AM. Doug flew to MIA from Tampa, John flew to MIA from NYC, Ramon drove to MIA from Naples, and Elizabeth and Ted Kaplan and their children Josh (5) and Anna (3) drove to MIA from Orlando. 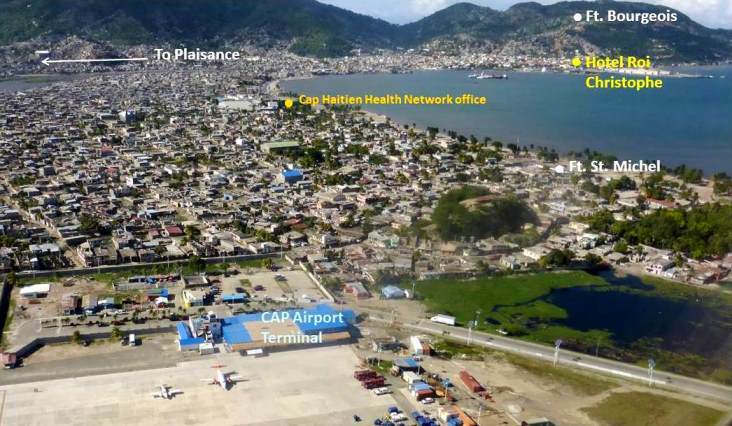 Three locations were served: the ULS Clinic in Ft. Bourgeois, the town of Plaisance, and the Hopital Ft. St. Michel in Cap-Haïtien. 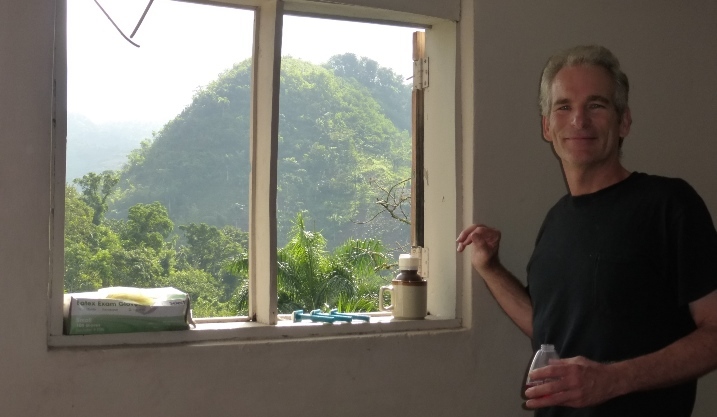 We had been to Ft. Bourgeois and Plaisance, but this was NSVI’s first visit to Ft. St. Michel, arranged by Ted Kaplan, who knew that a site close to the airport would be logistically appealing. to attend a scheduled 3 PM Friday meeting of the CHHN at the Hotel Roi Christophe. 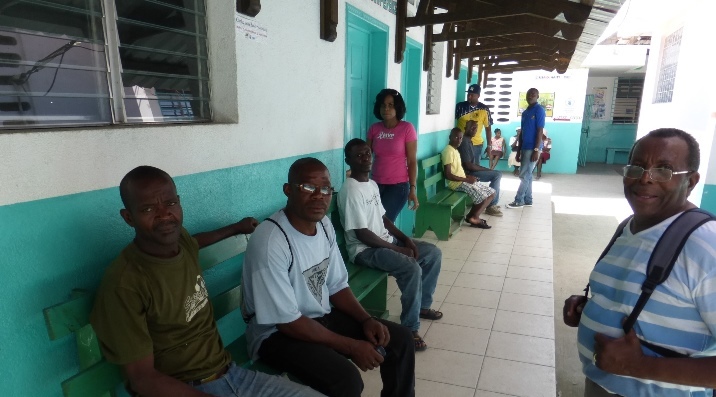 The plan was to go straight from the airport to Ft. Bourgeois, where 14 patients were waiting. 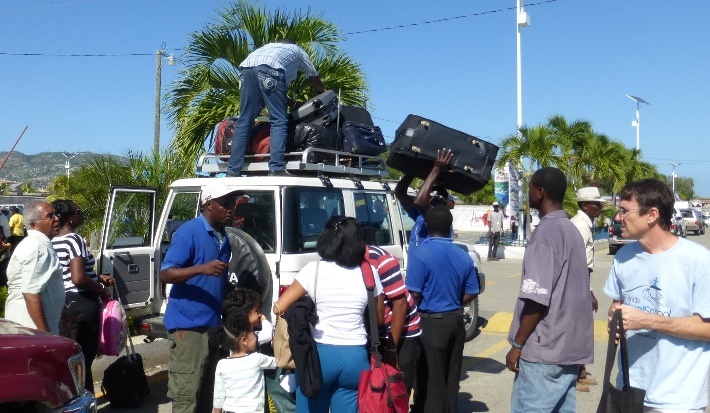 It was a bit challenging to cram 8 persons and all of our luggage and equipment (enough instruments and disposables to perform an anticipated 50 vasectomies) into and onto our vehicle. 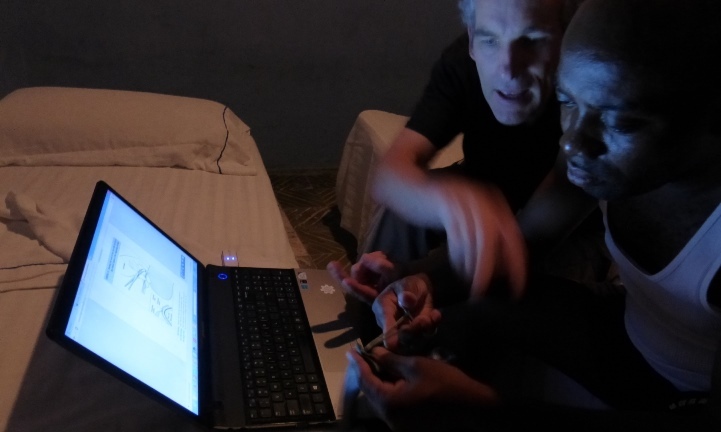 … while Dr. Mesadieu assisted Dr. Curington (with only headlights) in the other. 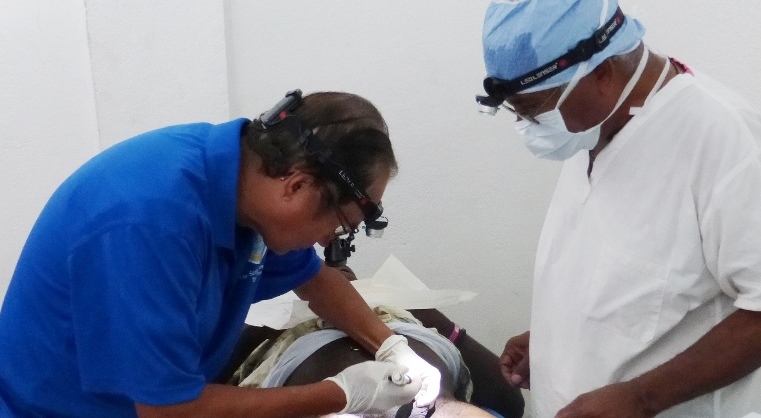 We performed vasectomies on 14 men (average age 47) who had had a total of 95 children. … using a model of his own design. 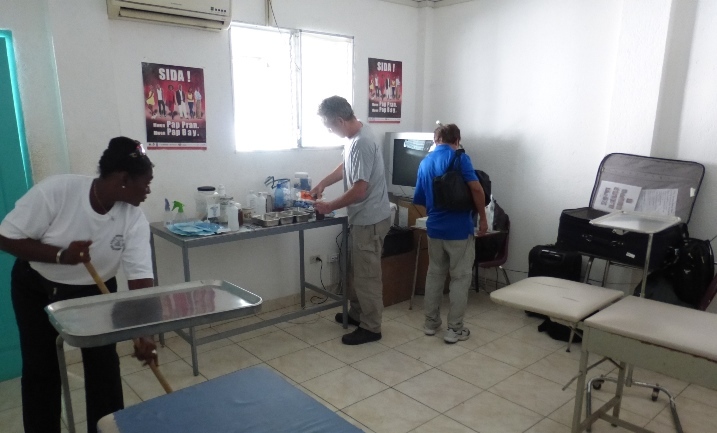 During our last 2 missions in Plaisance, our “clinic” was the school 2 doors from Amos’s home. 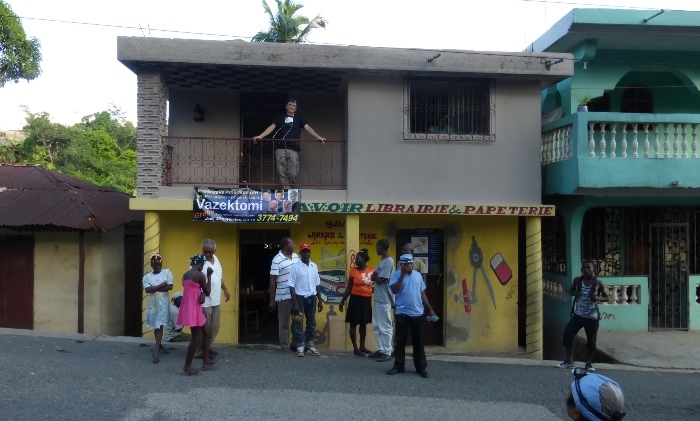 But school was in session during this visit, so Amos arranged for us to use what was once a bookshop and stationary store, also just a few doors up the hill from his home, directly on the main road connecting Northern and Southern Haiti. Our 20 patients (average age 47) had fathered a total of 80 children. One man who was 19 and had had one child was denied. Our 20th and final patient (center) agreed to pose with the group as Ted arrived from Cap Haitien just in time to take turns with Doug being in the team photo. 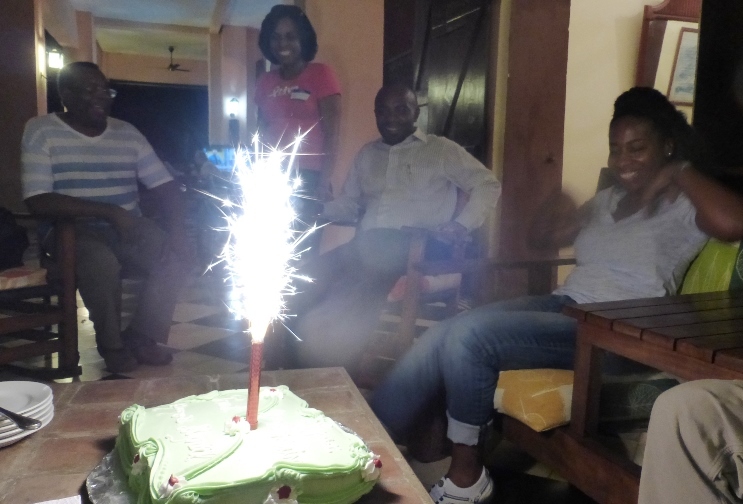 … of northern Haiti that we had missed the night before. 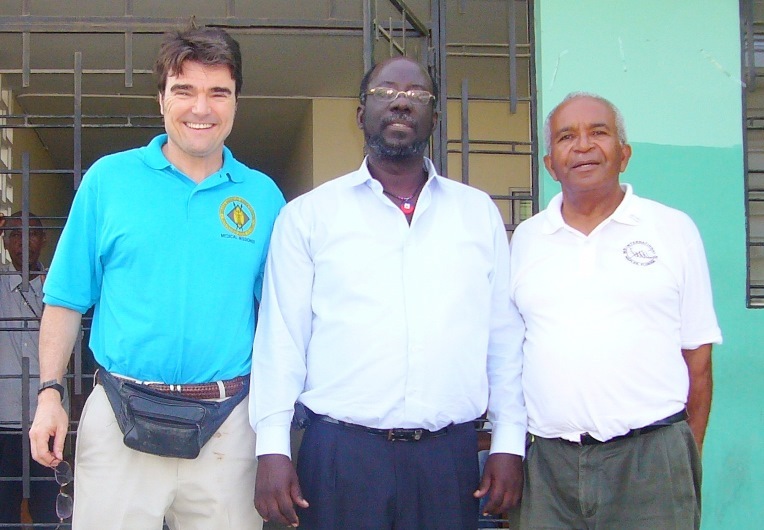 At Ft. St. Michel we were greeted by our host Dr. Daton St. Martin, Chief of Infectious Diseases. … and were led to the largest room at the facility, the conference room. After desk-chairs were removed, the (air-conditioned!) space provided enough room for two procedure tables and a set-up table. 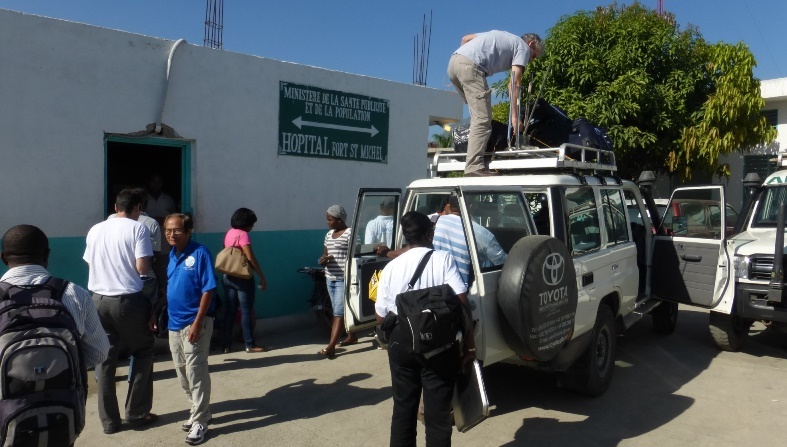 … of some of the poorest people on the planet provided a glaring reminder of just how much NSVI’s services are needed in Haiti. 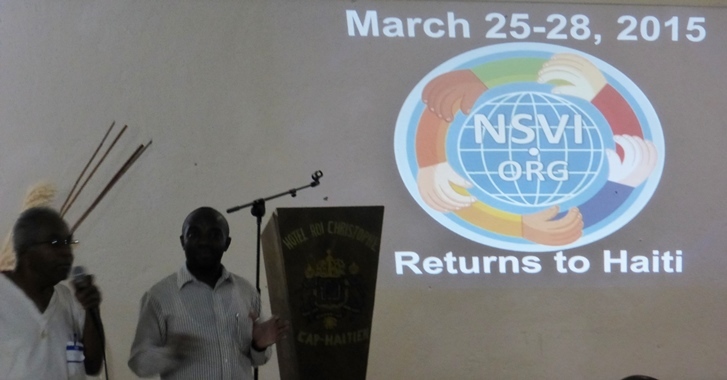 At the Hotel Roi Christophe, Doug provided a brief history of NSVI and introduced the Haitian members of the Team to the members of the Cap-Haïtien Health Network (CHHN). 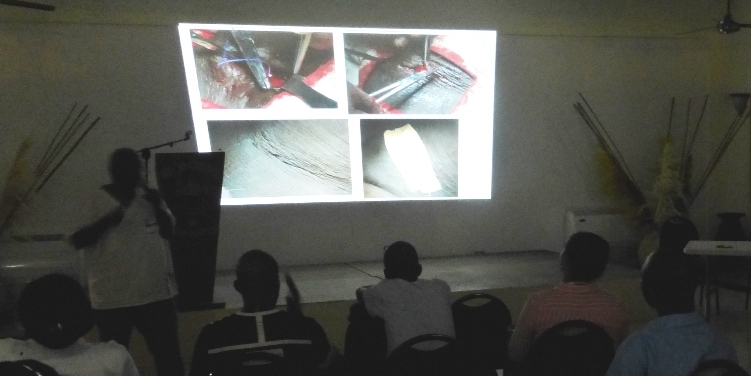 … and Dr. Lolagne, an expert in both vasectomy and tubal ligation, depicted the harsh realities of what women in Haiti endure when men don’t have access to or knowledge about vasectomy. sown the seeds for valuable community alliances going forward. 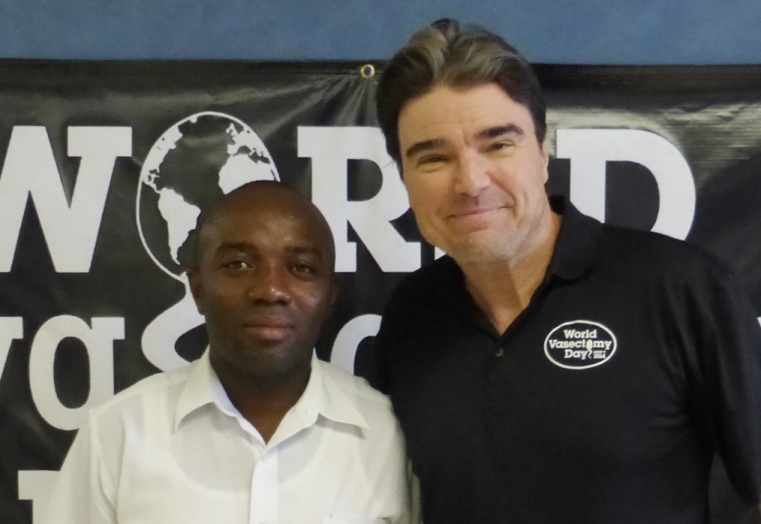 of our young and passionately-committed Haiti Mission Director, Pastor Amos Myrtil. The next mission will be March 25-28, 2015, so mark your calendars if you would like to join us. 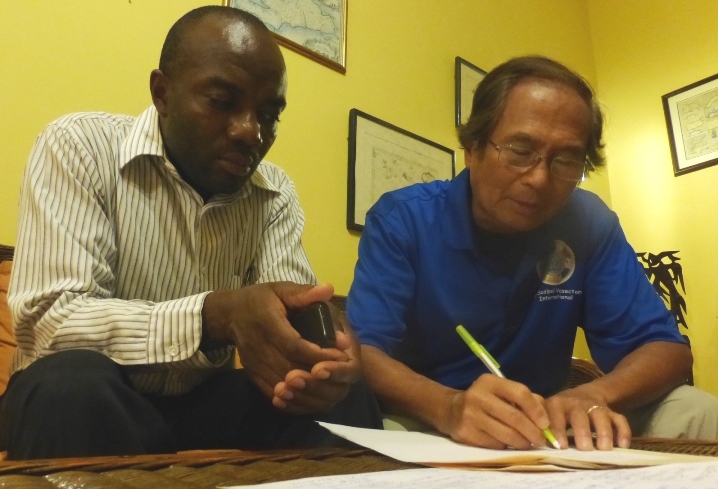 (The mission to follow the March mission will be July 22-25, 2015, before hurricane season.) When we find a Haitian “frohnie” (an administrative leader who can motivate local community health workers; use a computer well enough to generate promotional materials like banners, posters, and radio ads; and interact with agencies in the public and private sectors like our Frohnie in the Philippines), NSVI will establish a Domestic Program in Northern Haiti as we have done in the Philippines. 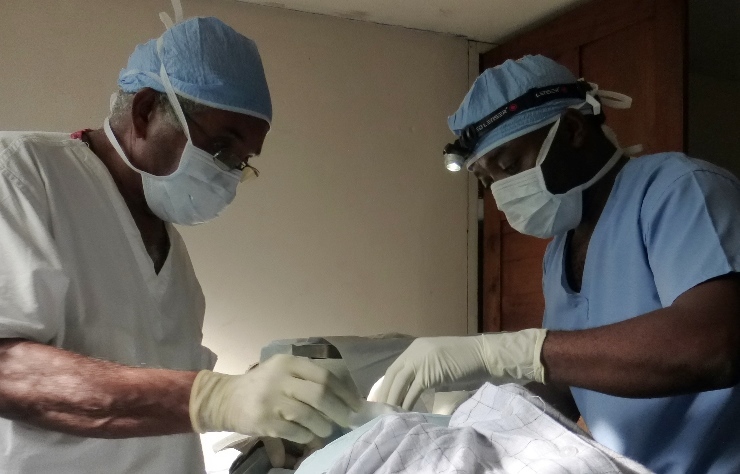 Dr. Fritz Lolagne is based for now in the south of Haiti (home, office, and contacts), and Dr. Maudelin Mesadieu, while one of the fastest learners we’ve trained, could use another mission’s worth of experience. 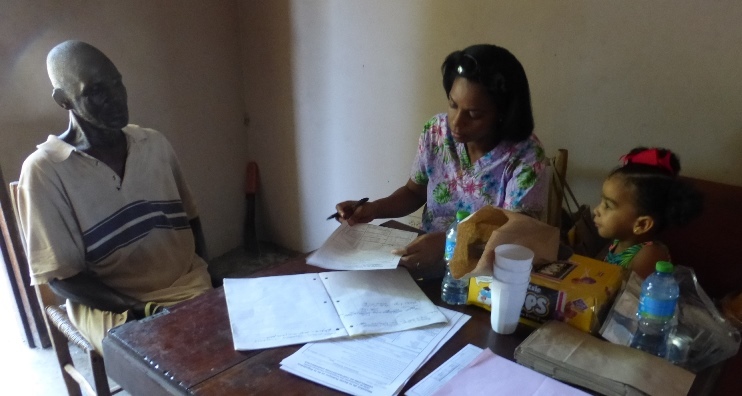 The Haitian government has made family planning a national priority, so that should make our work easier. And the CHHN stands ready to help us coordinate with other agencies to optimize delivery of vasectomy services. Wednesday, March 25: Arrive at CAP 11:59 AM on American Flt. 1632, assuming no change in schedule. If we have 1 or 2 “guest” vasectomists, whole team proceeds directly to Ft. St. Michel where 3 operator pairs perform an estimated 24-36 vasectomies over 4 hours. 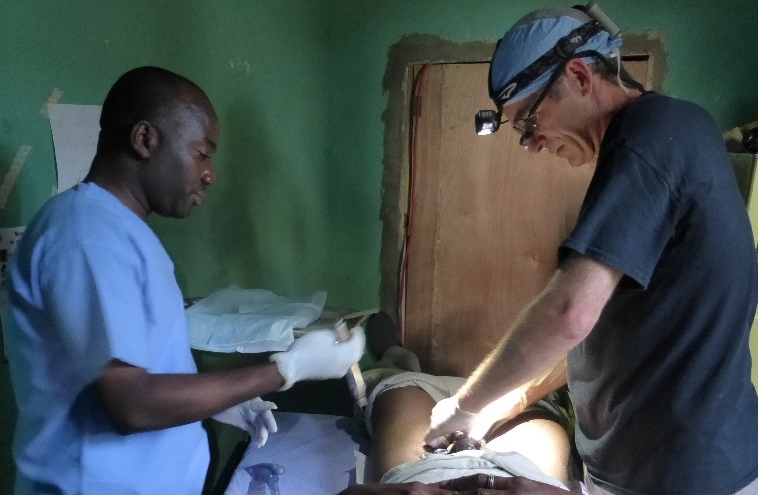 If a 3rd or 4th vasectomist would like to join the mission and is willing to bring a separate collection of instruments and disposables for 40 vasectomies (NSVI can provide the list), half of the team goes from the airport to Ft. Bourgeois for an estimated 20 vasectomies. All sleep at Hotel Roi Christophe. 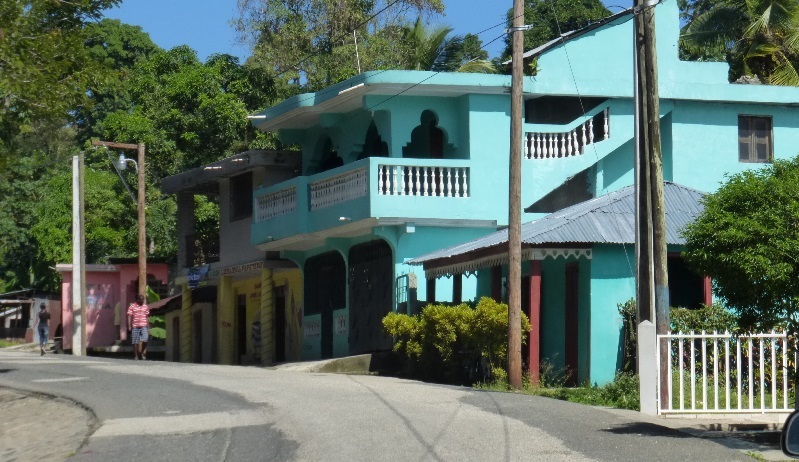 Thursday, March 26: Early morning travel to Plaisance (about 2 hours) for vasectomies all day. 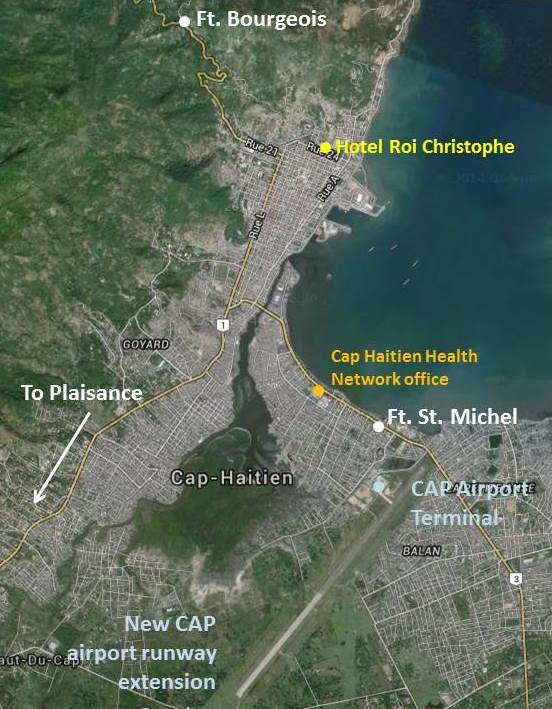 Unclear whether we would overnight in Plaisance or return to Hotel Roi Christophe. Could depend on our group size. 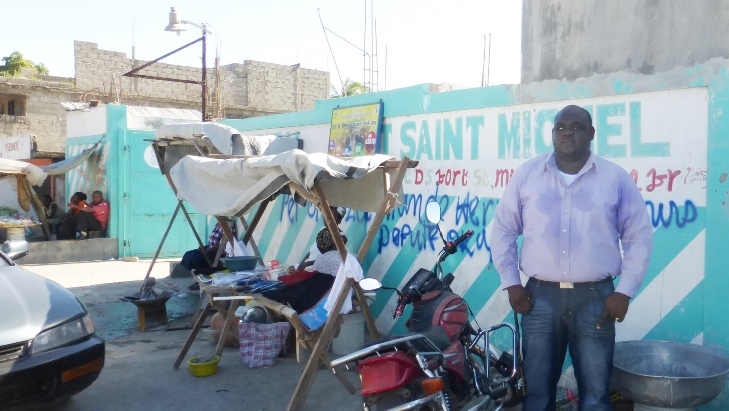 Friday March 27: Vasectomies in Ft. St. Michel. Those who wish to return home on Friday could catch American Flt 1659 at 1:40 PM. Those who wish to stay another day keep operating. Overnight at Hotel Roi Christophe. Saturday, March 28: Leisurely breakfast at hotel and exchange of photos, etc. 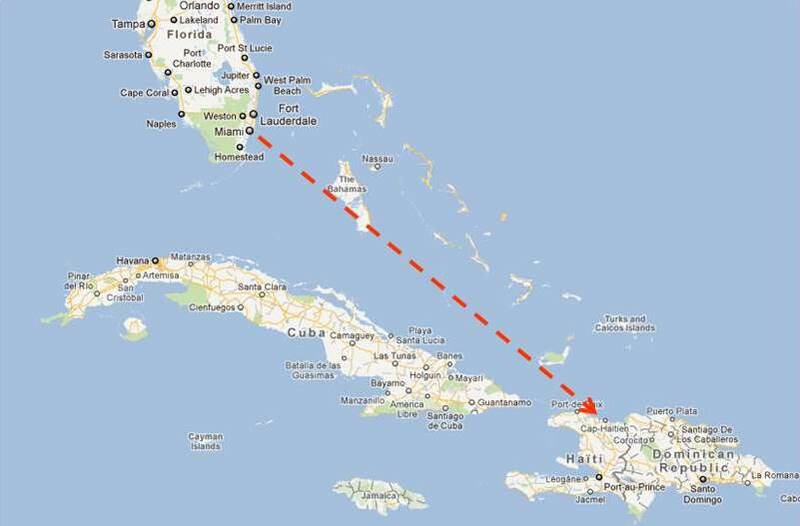 Return home via Miami on American Flt 1659 at 1:40 PM. 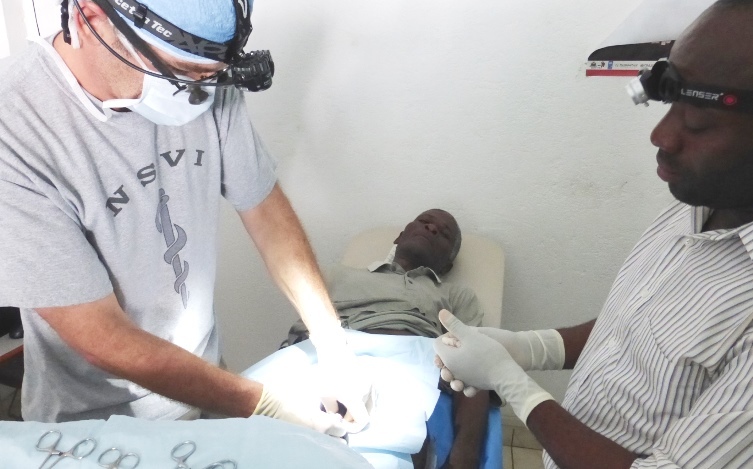 The costs for each NSVI vasectomy in Haiti is about $45. 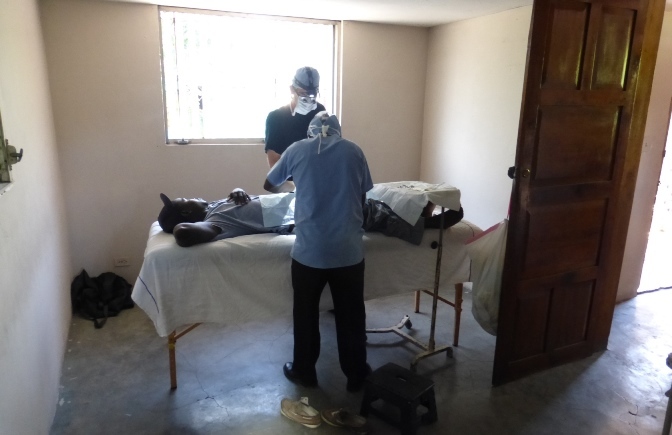 This includes lost-income and transportation compensation for patients ($11), community facilitator compensation ($9), onsite counselor/coordinator compensation ($4.50), compensation for the Haitian vasectomists ($11), payment of our OR nurse/equipment person ($4.50) and facility fees ($4.50). Our transportation is usually provided by the Department of Health. 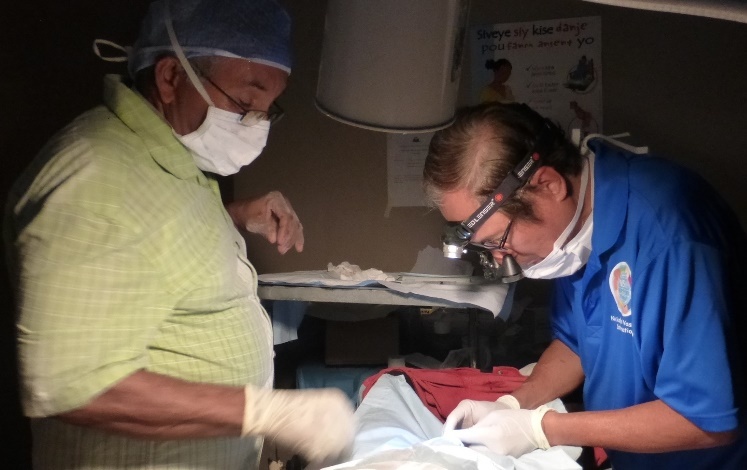 We anticipate a demand for 100 vasectomies, with each vasectomist operating alone or paired with another vasectomist completing at least 30 vasectomies. 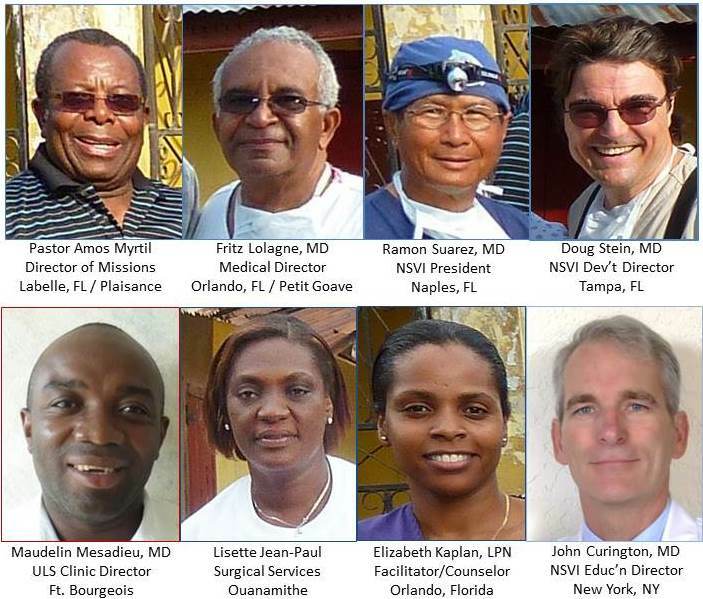 Until NSVI is blessed with a generous grant, the only way to meet this budget is to ask each guest vasectomist for a donation of $1500, paid to NSVI by January 25, 2 months before the departure date. Additional expenses would include airfare ($288 RT from Miami) and 2 or 3 nights at the Hotel RC ($150/night). 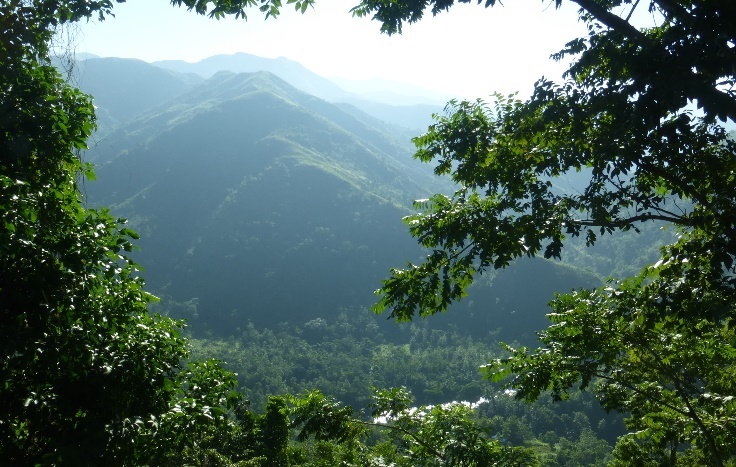 For those of you who have never been to Haiti, it will be an experience that you will NEVER forget. 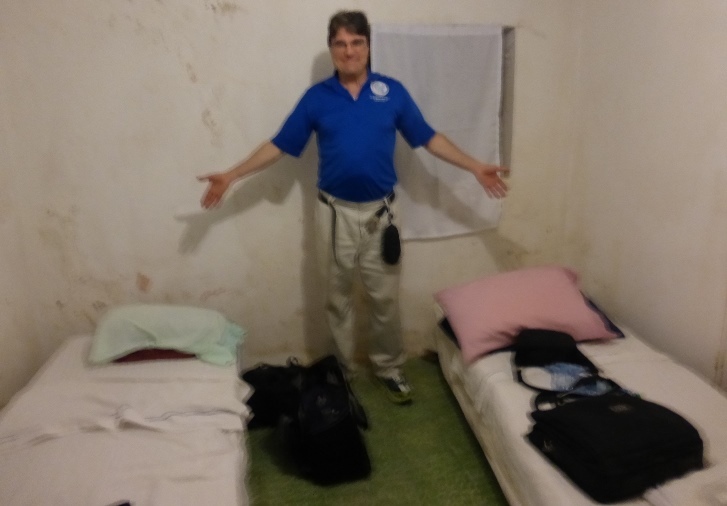 While you are always free to arrange your own mission, and we can provide advice, NSVI cannot accept more than 4 “guest” vasectomists due to limitations in transport and the size of our facilities. So the first 4 persons to provide a non-refundable deposit of $500 (“FBO March Haiti Mission” through this website) will secure their places, with the balance payable by January 25. Anyone who changes his or her mind after making the deposit will know that he or she has contributed to one of the most worthy non-profit 501(C)(3) organizations in the world. Anyone with questions can e-mail Doug Stein at steinmail@vasweb.com or call him at 813-390-3032 (cell) or 813-972-1365 (office).